Derick Kopp | Lead|Grow|Do – Make today count. Lead|Grow|Do – Make today count. 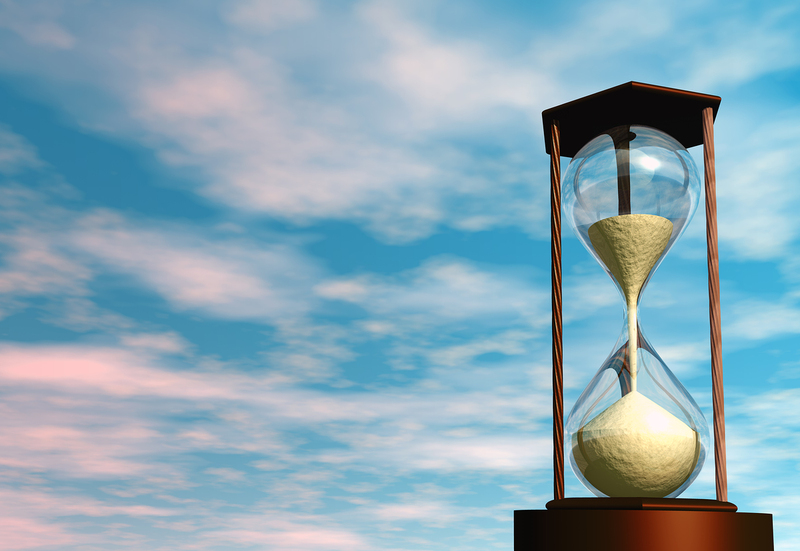 Can two minutes at a time increase your productivity? Yes, it can! Here’s how. It’s called the 2-minute rule. The 2-minute rule has three parts. If something should take less than two minutes to do, do it now. Don’t procrastinate. So often, it’s the little tasks that bog us down and get in the way of getting anything productive done. Productivity is like a snowball. Start small. Gain momentum. Conquer the big stuff. (This part is the kicker to using the 2-minute rule effectively). Don’t fill your day with so many two-minute activities that you don’t get the really important stuff done. Focus your efforts on the things that need to be done. Don’t make up two-minute activities to do so that you don’t have to conquer the 3-hour task ahead of you. Note: The idea of 2-minute rule is not original to me. Lawton Ursrey and James Clear have variations on this rule that are well worth reading. P.S. I’d love to connect with you on Twitter: @Derick_Kopp. And, if you enjoyed this post, please consider sharing it below. 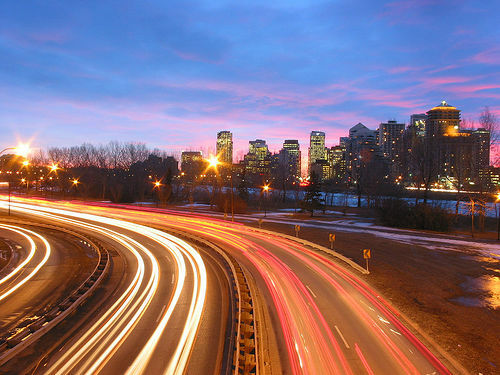 Did you know that the average daily commute (round trip) in the States is just over 50 minutes? For the 10 largest cities, that average increases to right around 2 hours. Over the course of a year, that’s approximately 500 hours. That can be depressing! But it doesn’t have to be. If you purposefully take advantage of that time and put it to good use, it can become one of the most productive parts of your day. For me, my round trip commute is 120 miles, which translates to a 2 ½ hour trek. (Thankfully, I have the flexibility to work from home 3 days a week.) I realized how much time I was spending in the car on the days that I do commute daydreaming about nothing in particular and decided to reclaim those hours. Here’s 11 ways you can reclaim yours. If you can afford a little bit longer of a commute, joining a carpool or using some kind of mass transit could help you use that time more productively in addition to saving money (not to mention reducing the wear and tear on your car). And, the number of people you carpool with can significantly increase the amount you save. Every city or state organizes their carpooling initiative a little bit differently, but here’s a look at Georgia’s Clean Air Campaign. Books: Audible is the world’s largest producer of downloadable audiobooks. Although Audible is a paid service, you get one free audiobook download when you sign up. Also, urban legend has it that some local libraries still offer books on CD! Bible: I listen to the daily chapter of Proverbs during my morning commute. It helps me “calibrate” my thoughts before I really begin my day. The Bible.is app works really well and is available for iOS, Android, and Kindle platforms. Spoiler alert: this only applies if you’re not the one driving! Books: If you prefer e-readers over printed books, Kindle is the most popular e-reader. And, if you have a mobile device that operates on an iOS, Windows, Android, or BlackBerry platform, you can download the Kindle app, which essentially converts your device into a Kindle, giving you access to the Kindle store on Amazon. (Personally, I prefer reading printed books – not while I’m driving, of course.) If you’re not sure what to read next, Amazon just released its list of 100 books to read in a lifetime. Bible: I use the Logos app (available for iOS, Android, and Kindle platforms) for reading the Bible. It has multiple translations and many useful tools for studying and note-taking. Phone: Bluetooth devices like the Blueant Q2 bluetooth headset sync with your phone’s address book and have built-in voice-activated dialing commands that facilitate a handsfree phone call without taking your eyes off of the road (that’s the plan, anyway). Kids: If your kids are with you for part of your commute, you can use the time to catch up with them. Outisde of the car, the world is usually going 100 miles an hour, but inside the car, the world stands still (or at least slows down!). Check out this list of fun activities to do with your kids in the car. For me, one of the best places to think is in the car when I’m driving by myself. The iRecorder app I referenced above is a good one for helping to record your ideas to build on them later. You can also record a quick audio note with Evernote and sync it with your computer later on (although, the app takes a little while to load, which makes it difficult to use while driving). There is nothing I enjoy quite as much as drinking my coffee on my morning commute. There’s just something about that hot, caffeine-infused awesomeness to get my day started. By the way, many people make fun of me for it, but when I drink coffee in the car, I use a straw – it’s a nearly fool-proof way to keep from spilling. You should try it next time you have coffee in the car. It’s also not bad idea to drive with your knees while chowing down on a breakfast sandwich! This may be a little difficult if traffic stresses you out. But, your commute can be a great time to decompress. There are some days when I’ve had a stressful meeting or just an overall frustrating day that I use my evening commute as a buffer zone between my work life and my family life. Music or talk radio can be a great way to get your mind off of the insanity of the day so you don’t carry your work frustrations through your front door. I always try to start off my day with prayer. I need God’s leading and blessing on my life every day. And I can be sure of one thing – once I get to work and the emails start flying, I’ll rarely have the opportunity to slow down and spend a few minutes in prayer. If you have a job that allows flex hours, it’s never a bad idea to take advantage of traveling during off-peak hours. Some mass transit systems will even give you up to a 50% discount for commuting during non-peak hours. Although, if you live in a large enough city (like Atlanta), the off-peak hours for commuting are few and far between. In my experience, it’s not always easy to work around the peak hours of 6:00 – 10:00 AM and 3:00 – 7:00 PM for both my morning and evening commutes. I usually manage to beat the traffic on my morning commute, but not my evening commute. The ultimate commute is working from home. Three days a week, my “commute” is walking up a flight of stairs to my home office. Nothing beats that! Question: what do you do on your commute to make it “better” or use that time more efficiently? You can contribute to the conversation here. I’ve heard a lot of people recently say something negative or derogatory either to someone, or even worse, about someone. Then, they wrap it all up with this simple little phrase: “I’m just saying’”. They use that phrase like a hall pass in high school – to do something they probably shouldn’t have done under the guise of actually having permission to do it. That little phrase is not a license to speak your mind. If you feel like you need a “hall pass” to say something, then you should probably keep it to yourself. 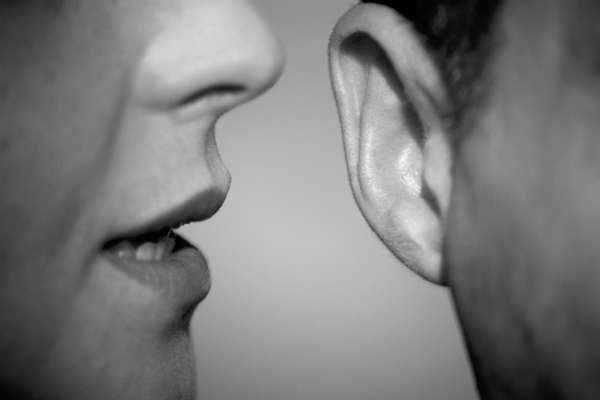 We should never shy away from speaking the truth – when it’s the right place and the right time. But, we should always communicate the truth in love and compassion. Choose your words carefully. You can’t afford not to. Question: do you ever find yourself using a “hall pass” sometimes to say something you probably shouldn’t be saying? P.S. I’d love to connect with you on Twitter. Four Examples of Effective Leaders – Effective leaders communicate intentionally, rather than impulsively. Over the Christmas holidays, as I was playing Mario Kart on the Wii (and struggling to finish a single race better than 10th place), it occurred to me that there are some similarities between Mario Kart and life. Now, I will admit that the thought of comparing Mario Kart to life may seem a little absurd at first, but stick with me – I think you’ll agree that we can learn some lessons from Nintendo’s legendary racing game. One quick note – I play Mario Kart about once every three months. So, if you were secretly hoping to challenge me to a friendly Mario v. Luigi race, I hate to disappoint you, but I’m afraid I wouldn’t be much competition. Here are three lessons that we can learn from Mario Kart about being successful. Success requires more than talent. 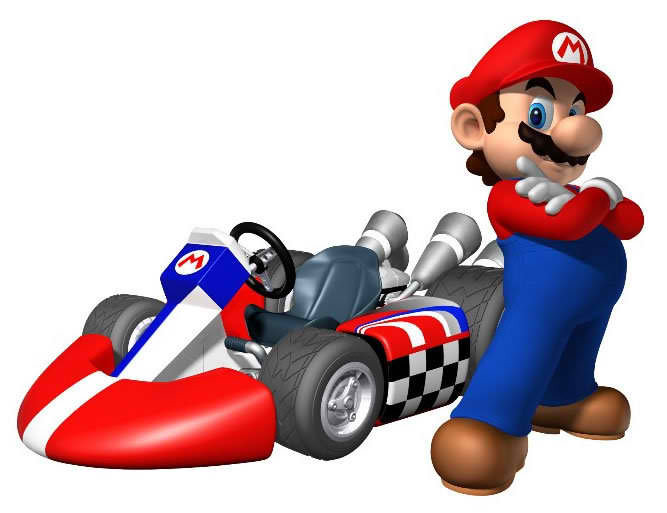 Every character and car combination in Mario Kart favors a different aspect of racing (e.g. acceleration, speed, handling, etc.). However, simply depending upon the specific racing abilities (talent) of your character/car combo is not enough to win. You have to take advantage of the items that are offered throughout the track to supplement your character’s awesome racing skills. Don’t be fooled into thinking that talent alone will advance your career, grow your revenues, or make you a better parent. It won’t. Talent is a great platform to build on. But, it is simply that – a platform. You must build on it. You must work hard to fine tune your skills to fulfill your potential. Human resources consultant Robert Half is credited with saying, “Hard work without talent is a shame, but talent without hard work is a tragedy.” Don’t sacrifice your talent on the altar of apathy. It seems that Mario Kart is all about persistence – the final rankings always seem to be determined in the last five seconds of a game. (Anybody with me on that one?) Giving up halfway through the race ensures only one thing –you will finish last. Willpower is like a muscle – exercise it and it will become stronger. You can cultivate the will to never quit trying. Some of the greatest inventors of history were the ones who persevered despite the fact that it seemed that the cards were heavily stacked against them. Thomas Edison tried more than 10,000 different types of material before he discovered that tungsten was the perfect filament for his incandescent light bulb. It took James Dyson 5,127 protoypes over a 15-year period to develop the technology for the world’s first bagless vacuum cleaner. Consider how different the history of these every-day items might be if Edison quit after 9,000 attempts or if Dyson threw in the towel after 5,000 prototypes. Question: how have you applied these lessons in your own life? You can contribute to the conversation by clicking here. 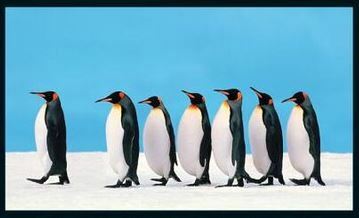 Many leadership gurus debate whether leadership is an art or whether it is a science – or a combination of the two. But, no matter where you fall in that debate, when the rubber meets the road, understanding the theories behind leadership counts for nothing without practical application. As I’ve had the opportunity to work with effective leaders (and some not so effective), I’ve noticed some recurring themes. I’ve worked hard to imitate the good examples in my leadership roles. And, although effective leadership takes a lot of time and emotional energy, the positive impact is a lasting one. Let’s look at four practical applications of effective leadership. 1. Admits fault rather than shifting the blame. 2. Leads by example rather than by hypocrisy. You must demonstrate action instead of simply dictating action. (Click here to tweet that.) While both leadership styles will probably get the job done, simply accomplishing a task is not the goal of an effective leader. If you want to be an effective leader, instill inspiration and vision in your team. Excellent work will become a natural by-product of your leadership. Hypocrisy is like an acid – it corrodes away inspiration and vision until they are no longer recognizable. Conversely, just like rebar is used to reinforce and strengthen concrete, leading by example reinforces the vision and inspiration. Remember the old adage, your walk talks louder than your talk talks. 3. Communicates intentionally rather than impulsively. You must carefully guard your communication. This doesn’t mean that you can’t communicate frequently or with confidence. In fact, it is the exact opposite. Only intentional communication is truly effective communication, which means that you must intentionally choose the message, time, place, medium, and recipient(s) of your communiqué. 4. Promotes collective success rather than personal success. total effect that is greater than the sum of the individual elements. Did you know that synergy is naturally inherent in many areas, including physics, genetics, and toxicology? Generally, teamwork is no exception. In her book, Smart Tribes, thought leader Christina Comaford details how a change in leadership behaviors can significantly increase a team’s potential for success. Remember what our high school coaches always told us? There is no “I” in “TEAM.” Yep, it still applies today. Question: what other practical applications have you seen in leaders that you respect? You can contribute to the conversation by clicking here. Maybe even an encouragement for you to start your own blog. Increased productivity – because time is too precious of a commodity to be aimlessly kicked around like a soccer ball at a 5-year olds’ soccer game. The fourth category is entrepreneurship/small business – because I have always dreamed of starting and running a small business (and not just because I want a plaque that says “proprietor” with my name on it by the entrance). Over the years, my ideas for businesses, in no particular order, have included a towing/auto transport company, a piano services company (tuning and repair), an engineering firm (I’m an engineer by profession), a music academy, an auto repair shop, after-school tutoring, and business development consulting. Initially, my goal is to post about once every 10 days, and then, reconsider down the road whether or not to increase my frequency to weekly posts, or even more often than that. As I continue posting, I encourage you to leave feedback (positive or negative) – I look forward to hearing from you.